NEW IN STOCK. BLUE. HPI CLEAR. ONLY two registered private keepers from new. 2 Keys. Serviced by LEXUS Main Dealer. Serviced at: 9k, 17k. 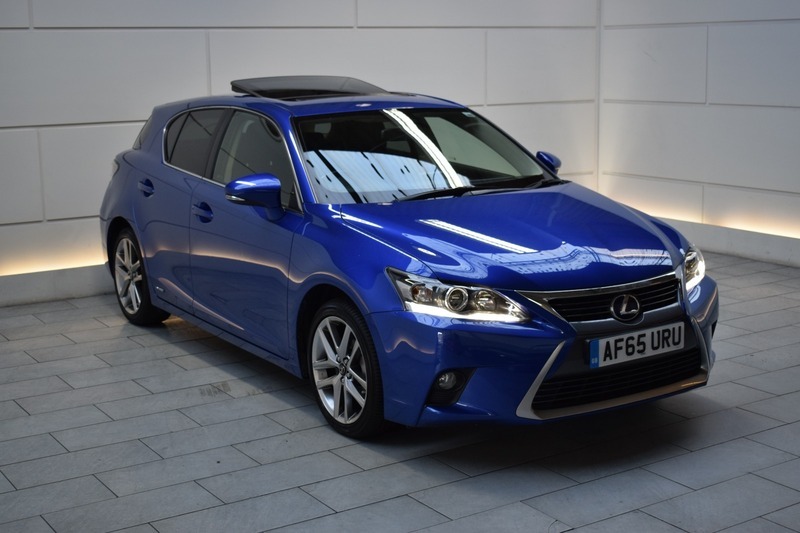 Highly desirable options when ordered new include: Satellite Navigation, Sunroof, 17-inch Alloy Wheels, Part Leather Interior, Electric Fold-in Wing Mirrors, Cruise Control, Bluetooth Telephone Connectivity, Heated Front Seats, Dual Climate Control and Front / Rear Parking Sensors. FREE ROAD TAX. AA Approved Dealer. 12 month AA Breakdown Assistance included. Finance available. Part Exchange Welcome. Visit our website: www.rdmdirect.co.uk to view our latest diversified stock listings.